Allison (Rajala) Ahcan, a native of Bigfork and Grand Rapids, Minn., joined Blandin Foundation with 22 years’ experience in professional communications. Prior to joining the Foundation, she served a variety of manufacturing and non-profit clients through her own Twin Cities firm, True North Public Relations. In 2005 she received the “Woman to Watch” award from The Business Journal. Her most recent work included developing and promoting the Minnesota Wood Campaign’s True North Woods® brand, directing Grand Rapids’ Goods from the Woods events and supporting the Blandin Foundation as a consulting communicator. 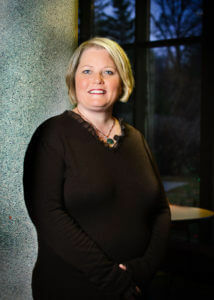 Allison also served as national outreach manager for the American Chemistry Council in Washington, D.C., and held communications roles for Lutheran Brotherhood (now Thrivent Financial for Lutherans), a Fortune 500 organization in Minneapolis. She holds the master of business communications degree from the University of St. Thomas and bachelor of arts in English from St. Olaf College. She joined the Foundation in February 2008 to provide strategic communications counsel for all program areas, and oversee the Foundation’s internal and external public, media and community relations.